Made of solid walnut and beech wood these chairs are remarkably solid considering the age and style that sets them apart. The style is neoclassical but suffers greatly influence the Liberty upward momentum presenting. Turned legs slightly tapered column. 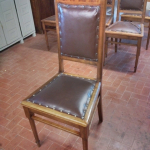 Seat and back upholstered in leather with decorative studs in bronze. 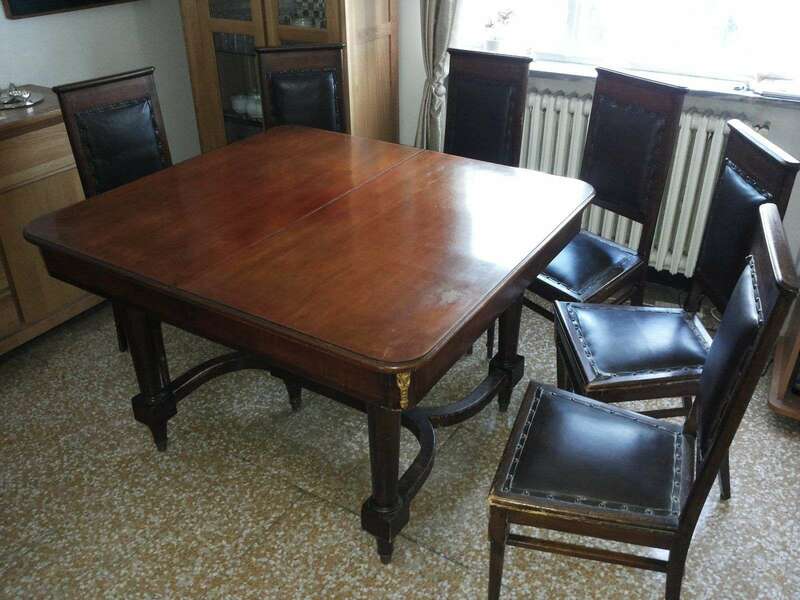 Classical decoration thread and upper frame in the neoclassical style. They have been carefully preserved and are in perfect conditions of conservation considering they have one hundred years. 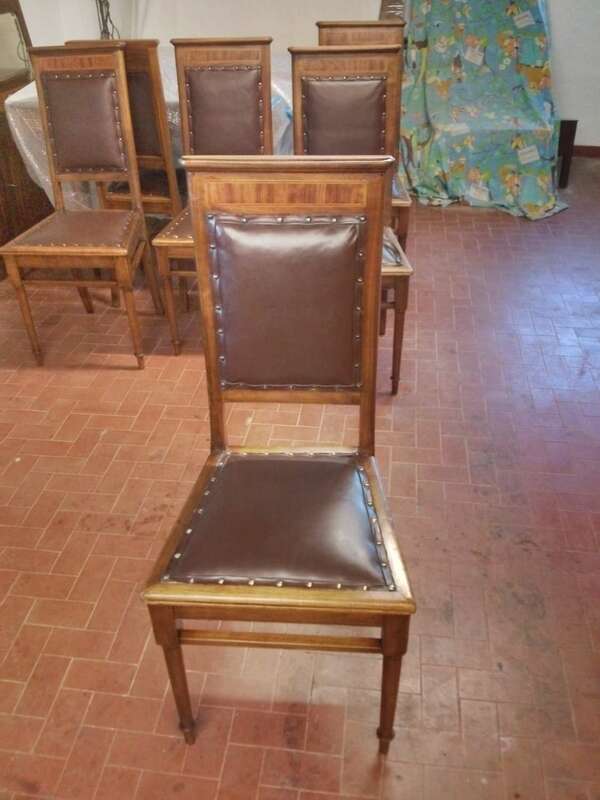 The chairs were covered with an accumulation of dirt and repainting that darkened much the leather seat and wooden structure. Have been scoured, it cleaned the skin and nailing bronze. 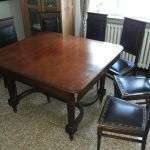 Were treated against the few have them present and repainted shellac spagliettata and protected with beeswax. 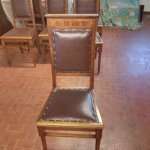 Even the seat and back in leather were polished with beeswax.